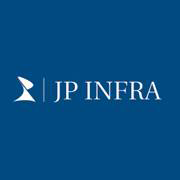 From a humble beginning in 2007, JP infra has come a long way. Today, we are a multi-faceted real estate development organisation with a pedigree of creating high-end developments in Gujarat and Maharashtra. Over the 8 years, the organisation has cemented for itself an unshakable reputation for quality, efficiency, trust, meticulous planning, top quality amenities, superlative designs, timely completion, guaranteed possessions and handing over of projects. Having an extensive portfolio in commercial, retail, residential complexes, and SRA projects- JP Infra has established benchmarks, and set new standards in the real estate industry. The firm is backed by promoters who have extensive experience and expertise in the Indian real estate market and is supported by a skilled and professional management team. Our projects are characterised by aesthetic but effective design, cutting edge project management and specialised financial management capabilities. We take one square feet at a time as we craft spaces that transcend innovation. Build architecture which others aspire and mold structures that inspire. Believe in developing skylines like scenery while ensuring that the blueprints see the light of the day and delivered on the day. All in all, we strive to make living a pleasure and work a joy, by simply implementing our ideas to sq. ft.